Please complete the form to download the whitepaper. Measuring viscosity is a tried and true technique for characterizing fluids. But frequently viscosity measurements are not made correctly and accordingly do not provide reliable or meaningful information. 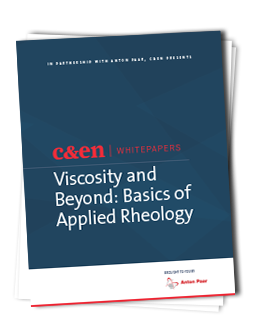 Viscosity is a parameter used to describe the flow properties of fluids. Measurement takes place by applying a force to the fluid and measuring the resulting flow. So, if a sample does not flow, viscosity is not the best parameter to describe its physical properties.